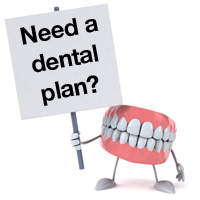 Plan A will not fill many of the Gaps left by Medicare. This is reflected in the cost of the plan. While the premium may be more affordable, you must be aware of the financial risk should you need certain hospital and medical services. Medical Expenses: Part B coinsurance (generally 20% of Medicare-approved expenses) or co-payments for hospital outpatient services. Plans K, L, and N require insured to pay a portion of Part B coinsurance or co-payments. Hospice Care will be included in all Medicare Supplement Insurance Plans as of June 2010. 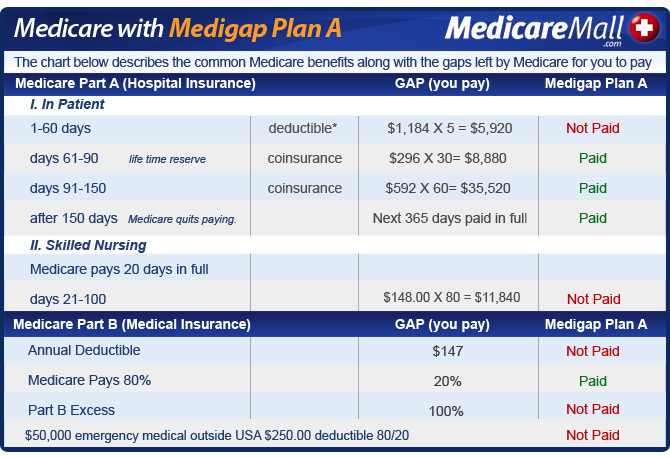 However, Medicare Supplement Plan A does not provide comprehensive coverage for many of Medicares gaps. For example Medicare Supplement Plan A does not cover skilled nursing care, Medicare Part A (Hospital) deductible, Medicare Part B (Medical) deductible, foreign travel, or Medicare Part B (Medical) excess. The excess can be very important because you would be responsible for the medical bills above the amount approved by Medicare. We have only briefly touched on one Medicare Supplement Insurance Plan, and as you can see it can be very confusing and somewhat overwhelming. We deal with Medicare daily and your Medicare Specialist here at MedicareMall.com can “Take the Mystery Out of Medicare” by walking you through the maze every step of the way. We are committed to you by shopping the best plans from the top companies available. We will do what it takes to make sure you become a very happy, satisfied MedicareMall.com client. To find out more if a Medicare Supplement Plan A is right for you, contact a Medigap Plan Representative now or talk to one of our licensed Medicare Specialists by entering your zip code and clicking the ‘Go’ button.